A feng shui office can help you increase your energy levels, productivity and general well being. Our offices are often all work and no play. Functional to a fault, filled with file cabinets, paper clutter, and typical office furniture, this space can really zap your creativity and energy. 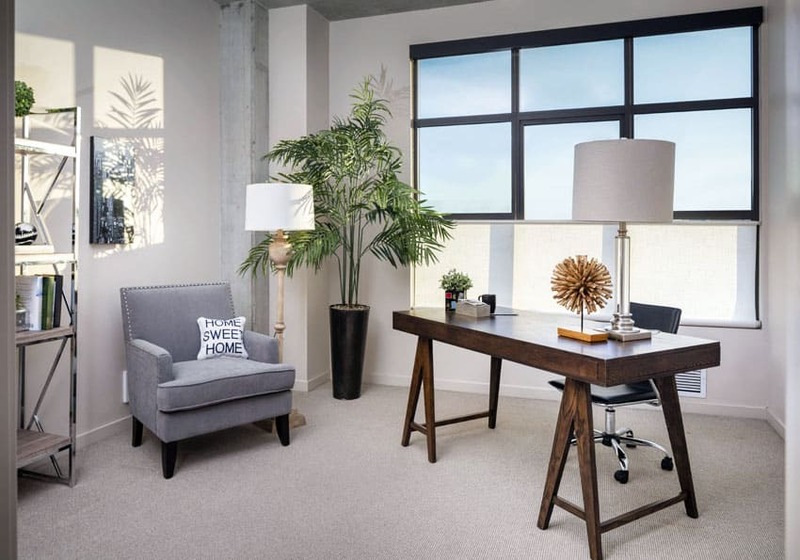 By utilizing some basic Feng Shui philosophies, you can create an office space that energizes and inspires. You spend so much time in your office, it pays personally and professionally to create a space that is as much Feng Shui as it is functional. Having an aesthetically pleasing and functional space can be challenging in an office, as you want to keep things that you use daily handy to make the most efficient use of your time. If your desk has drawers, use drawer organizers to hold your different office supplies. You can pull out the individual organizer and place it on your desk while you use it and easily store away when it isn’t in use. If you must have items, like pens, on your desk, look for a storage solution that is pleasing to your eye. A ceramic tea mug without handles that you picked up on vacation in Korea works great as a pen holder, not only is it beautiful, but it holds good memories. Items that hold good memories are a great way to bring good energy into a space. When setting up your office one of the most important considerations is the position of your desk. You can make sure your desk is in a command position by moving it as far as possible from the door while not being directly in line with it. Basically the command position subconsciously confirms the most powerful position in the room. It is advisable to have a view of both the door and a window if possible for the best outcome. Ideally when seated you should have views of as much of the space as possible. 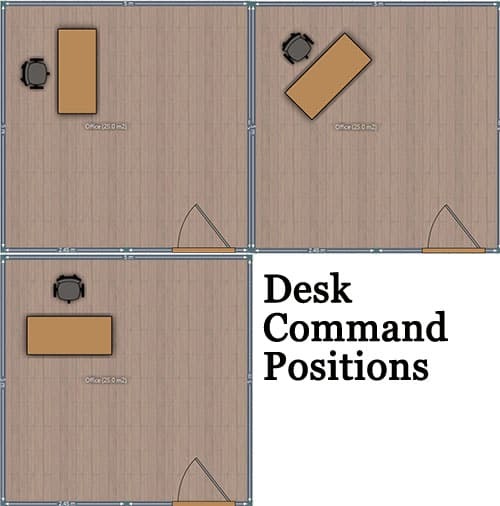 The desk can be arranged as shown in the desk command positions illustration to the left. 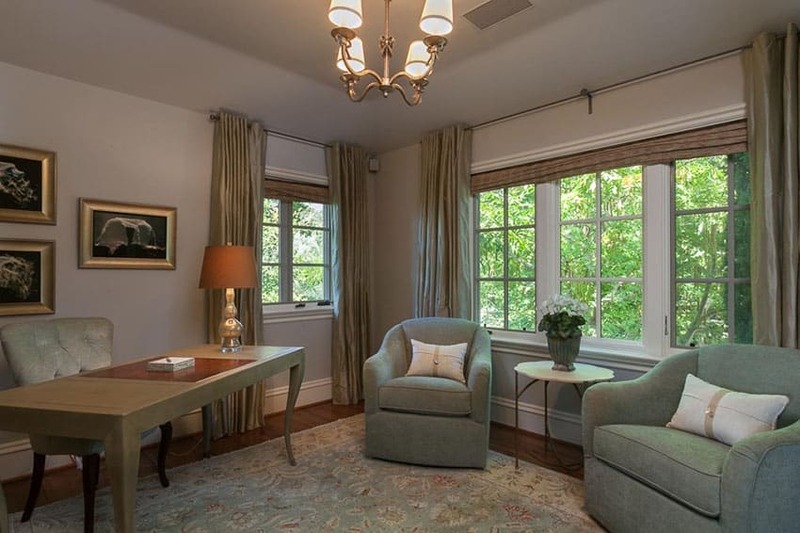 A huge aspect of Feng Shui is the environment. 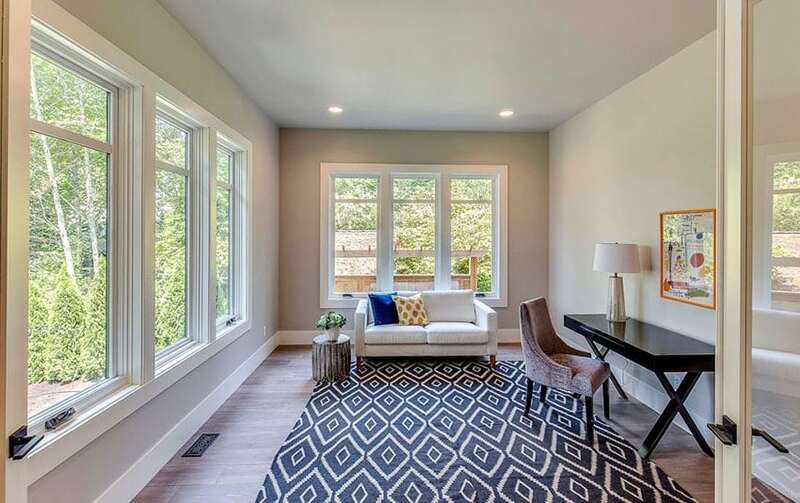 Flooding a space with natural light is preferable, but if you aren’t able to do that, using full-spectrum lighting where possible is a great alternative. Office air can often be stale, stealing your good mood without you even realizing why. Plants are a great way to rid yourself of that stagnant office air and bring an element of natural beauty to your space. 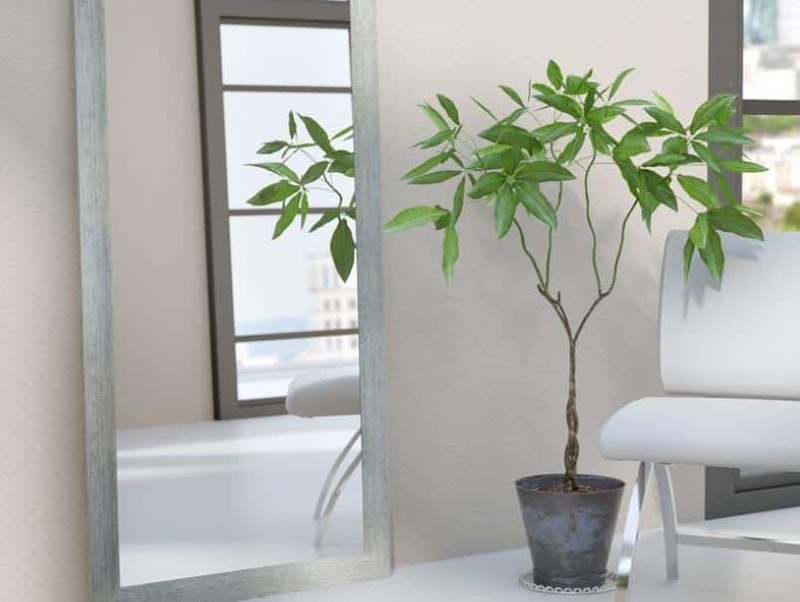 It needn’t be large, even a small tabletop plant or two can bring the Feng Shui element of clean air and natural beauty into your office. Feng Shui backing means that you are creating good energy behind your desk chair. You can achieve this by making sure that your desk chair isn’t facing an open doorway. It is preferable to have your desk chair backing be a wall or window. If your backing is a wall, paint it a color that soothes or energizes you. If you have the floor space, this is a perfect place for your potted plants. 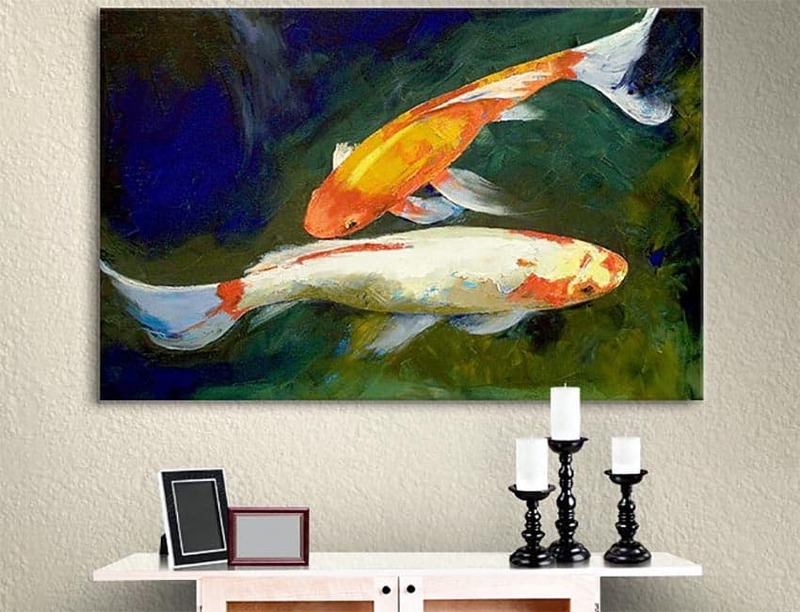 Or you can hang a piece of art with a strong image, such as framed art from your children or a large, framed photo of your favorite outdoor vacation spot. Photos of the ocean and mountains are also great for Feng Shui because they convey a sense of strength and support. 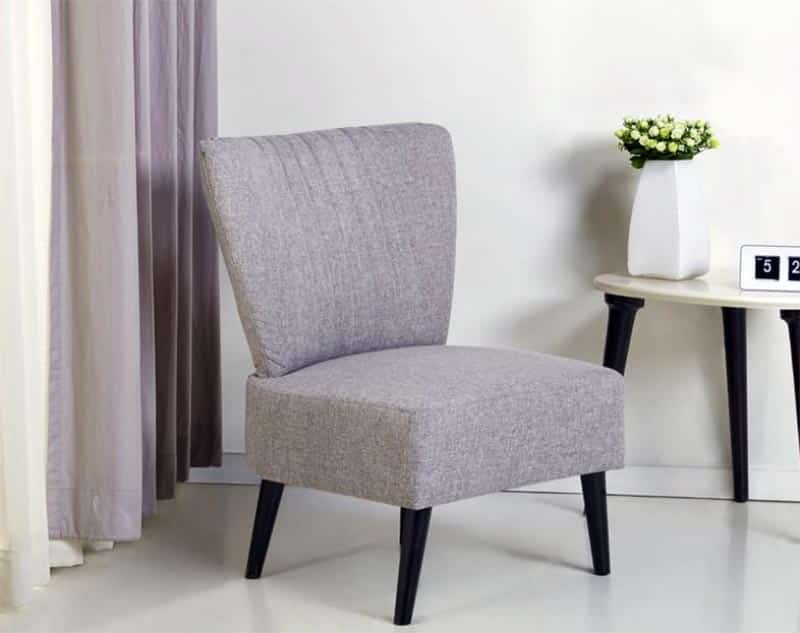 Your desk chair needs to be comfortable and supportive, you spend so many hours in your desk chair every day, indulge a little and spring for the expensive chair with pleasing upholstery. 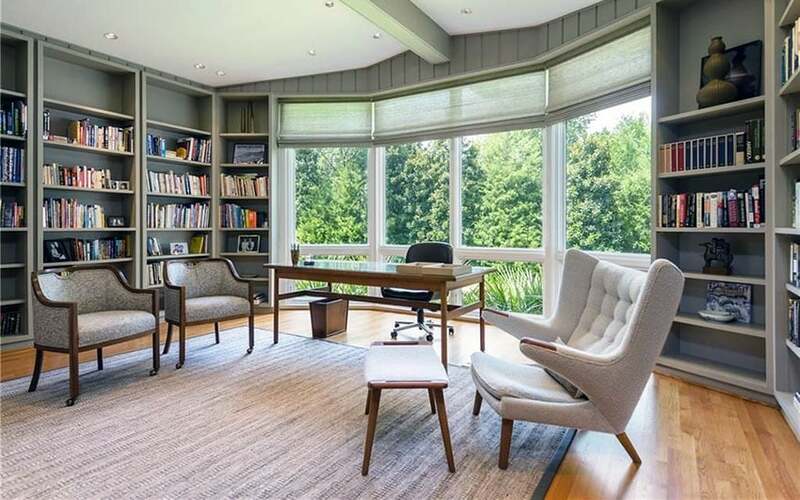 If you have occasional chairs in your office for visitors, go with a slipper chair. The soft, curved lines allow your eye to move over the space freely and there are no sharp angles or edges directed towards your work space. The concept of Sha chi, or poison arrows, indicates that sharp edges and corners directed at you created poison arrows that can make you feel drained and tired. A small, round table in between these chairs is a great spot for a framed family photo and a small potted plant, bringing even more positive energy and clean air into your office space. Placing these items between your desk and your file cabinets and shelving also creates a Sha Chi barrier, protecting your energy from the sharp angles of the shelving. Instead of metal file cabinets, opt for wood shelving that has file cabinet drawers in the base and open shelving on top. File your books in a pleasing manner, stacking some, and setting some upright. Add small air plants, framed photos, or other decorative items that make you happy. Don’t clutter it up though, keep it simple and light. Feng Shui requires a balance of the elements of water, earth, metal, wood, and fire. Too little or too much of any element can leave you feeling drained, tired, overwhelmed, or uninspired. It is likely that your desk and shelving will be made of wood, add a few plants and powers of creativity, intuition, and strength that it brings will be fulfilled. Don’t totally fill your space with wood though, too much wood can make one feel a bit stubborn and overwhelmed. 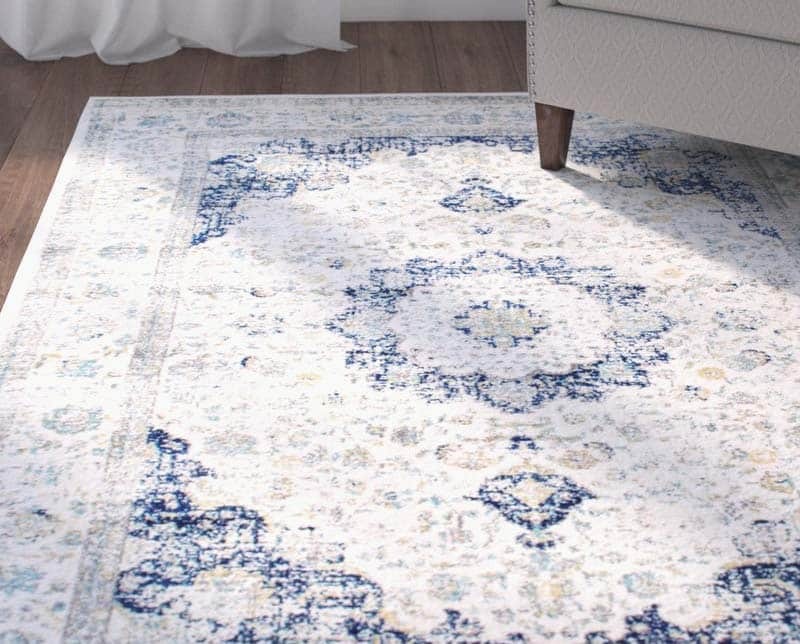 If you have heavy wood furnishings and wood flooring, you may want to invest in a rug that nearly fills the room to soften the space and balance out the element of wood. You can feel it anytime you walk through the woods or hike a trail, earth makes us feel grounded and balanced. It lends a sense of stability to our world. But too much of it can make us feel a bit bored and less likely to laugh and be playful. 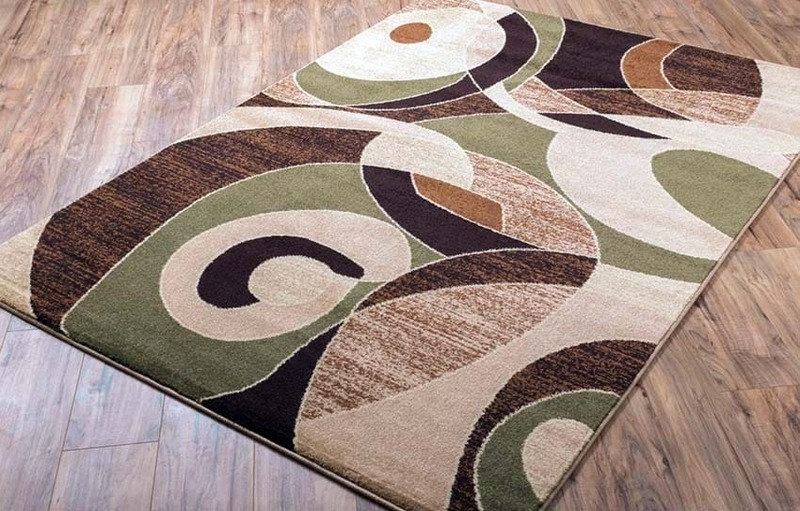 Bring earth with tones of brown and green and with photos of landscapes. 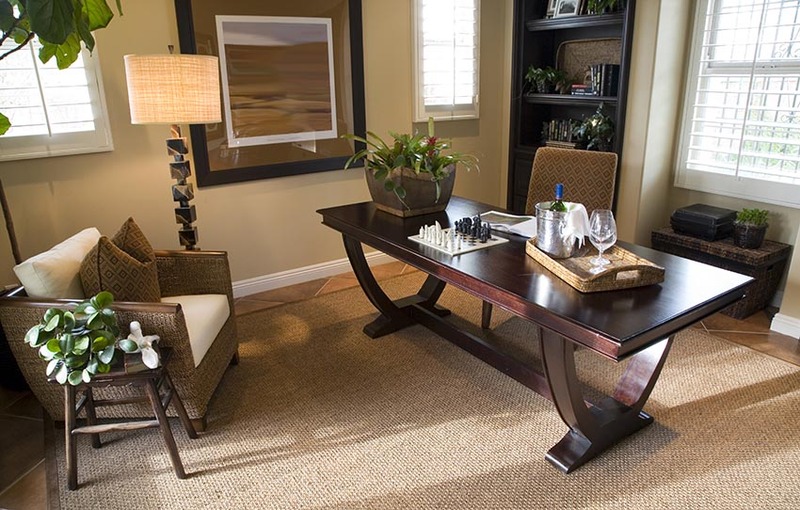 Your desk can bring in two elements at once, wood for the material from which it is made, and earth for the rectangular shape. Fire can be a tricky mistress. It creates boldness and inspires leadership but can also be aggressive and angry. Bring in fire with a photo of a great sunset or artwork that your child did that has purple, red, or pink as the main colors. Use candles or electric candles if you can’t have open flame. Let the sun shine in, open your blinds on a sunny day and bathe yourself in the warmth of the fiery sun. Insight, inspiration, and wisdom are what water brings you when it is properly balanced with the other elements. Not just the bright blue of a tropical ocean, but the deep midnight blue of the ocean floor, these are the colors that bring the element of water to life. Mirrors are also useful for bringing the element of water to a space and they reflect natural light, which brings the element of fire in line as well. 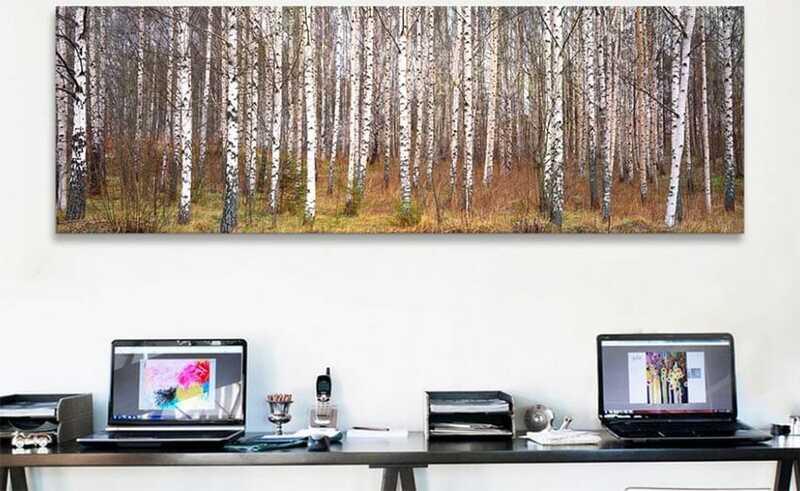 Bring your logical and organizational skills out by including this Feng Shui element in your office space. Use any metal you like, a fun wire and glass terrarium filled with air plants is an elemental powerhouse and is beautiful to look at. In lieu of a paperweight, use a river rock that you found on your last trip to the mountains. 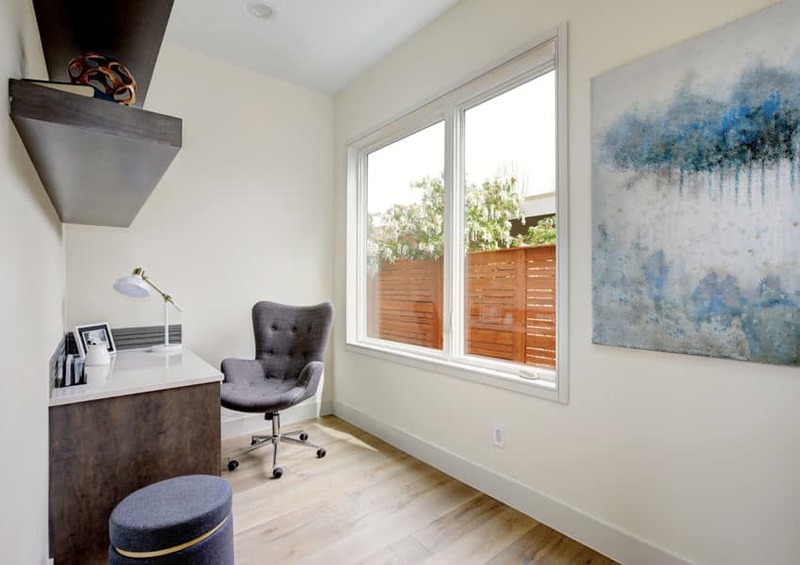 White is the elemental color of metal, so if you have bright white walls, you have this element covered. Don’t be overwhelmed with this information, most items have more than one element in them. Your potted plant might be nestled snugly in an orange terracotta pot, bringing in the elements of wood and fire. The upholstery on your occasional chairs could be a wavy, abstract pattern, bringing in the element of water. Arrange these items to take advantage of the energy that they give and you will have a beautiful office based on the tenants of Feng Shui.